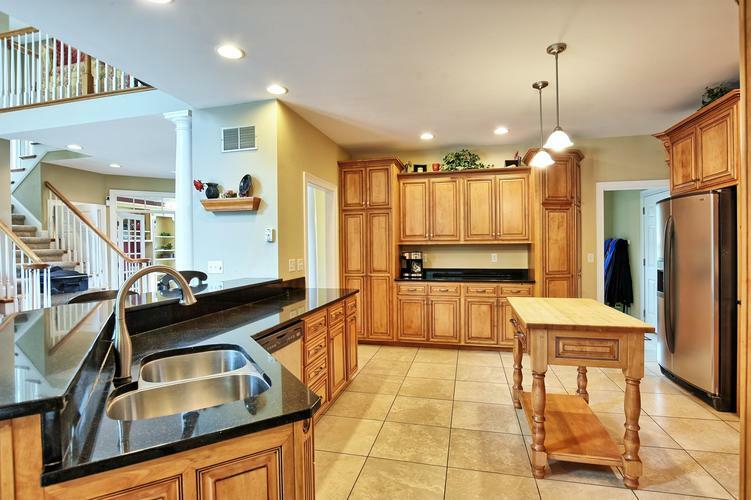 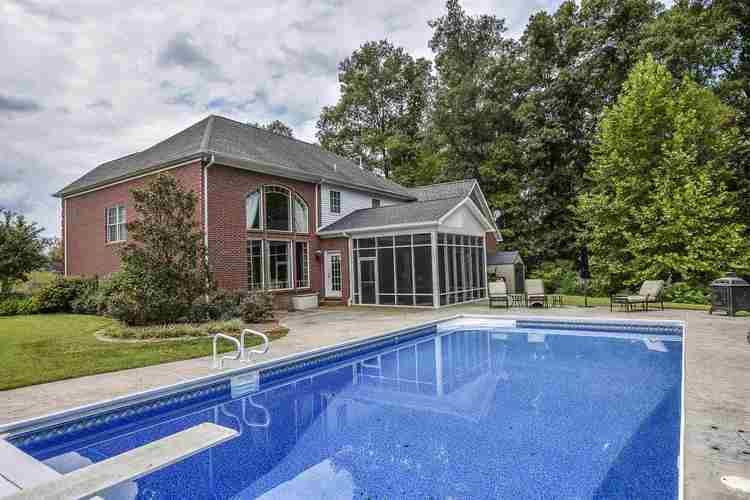 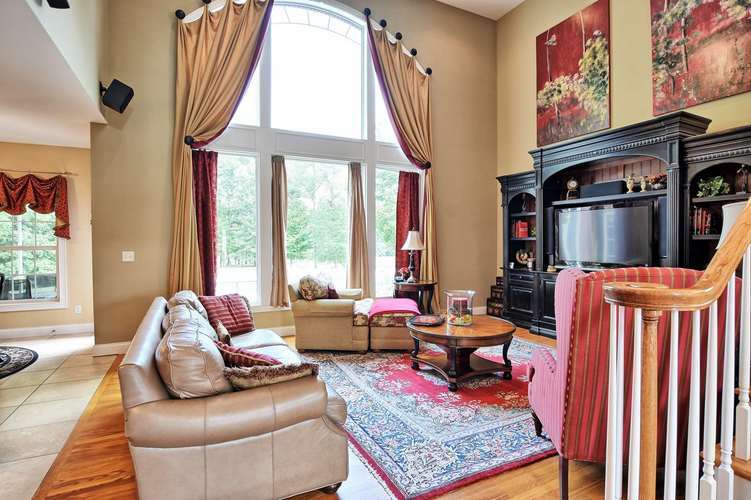 Beautiful custom built home overlooking lake situated on 1.39 acres on Evansville's west side. 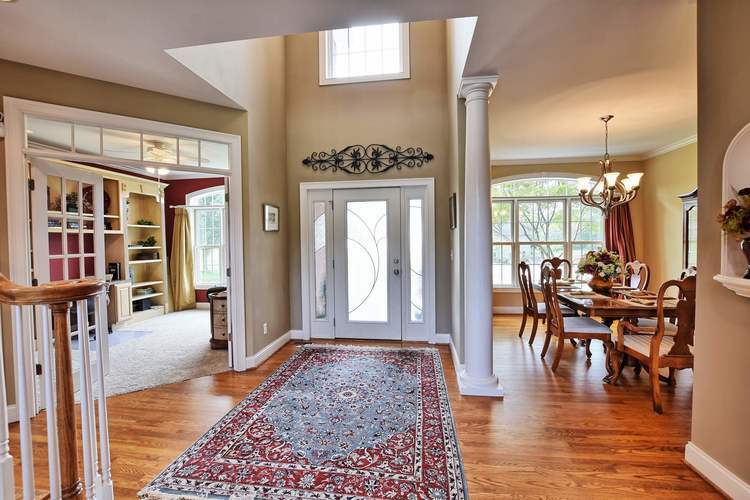 Upon entering this home, you are welcomed by soaring 20 foot ceilings in the foyer which extend through to the open concept great room overlooking the back patio with inground pool and backyard. 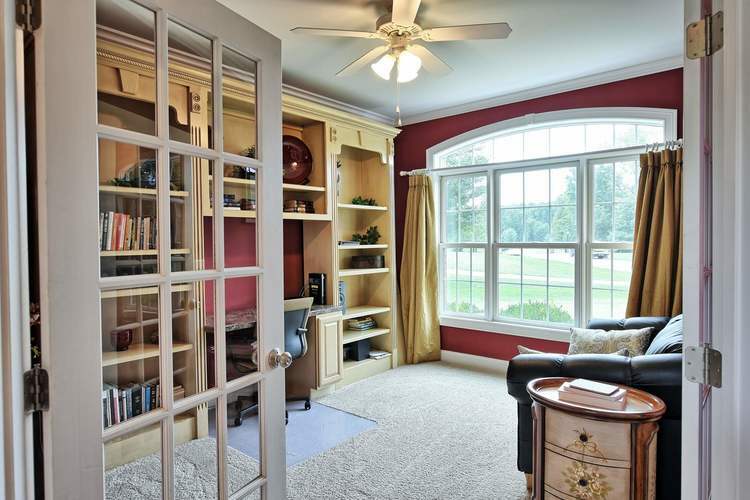 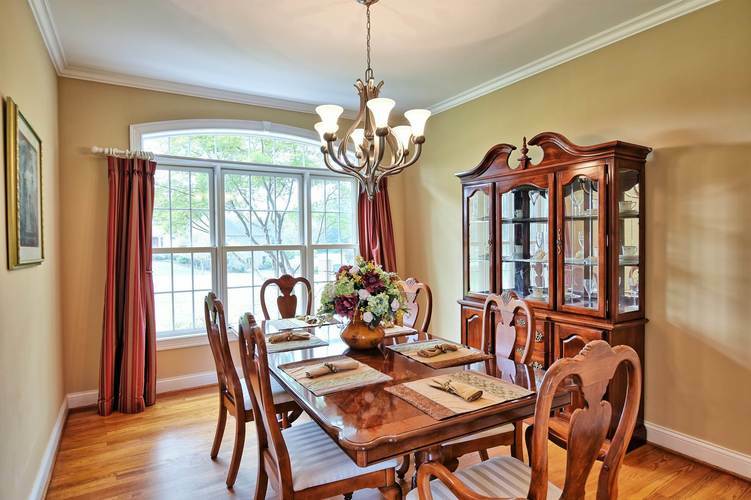 Off the foyer you will find a dining room and a study with built-ins, perfect for an office. 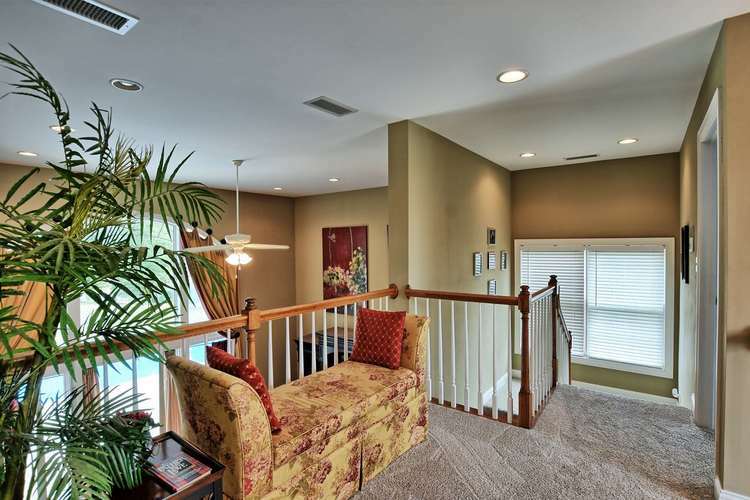 Two story windows provide ample natural light throughout the kitchen and great room. 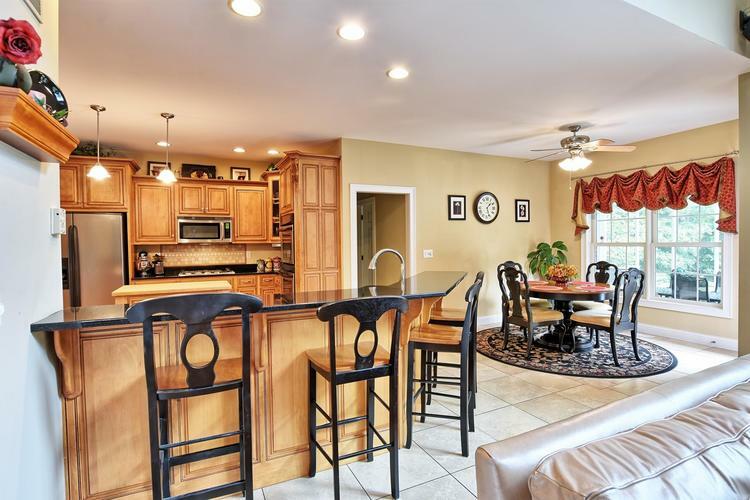 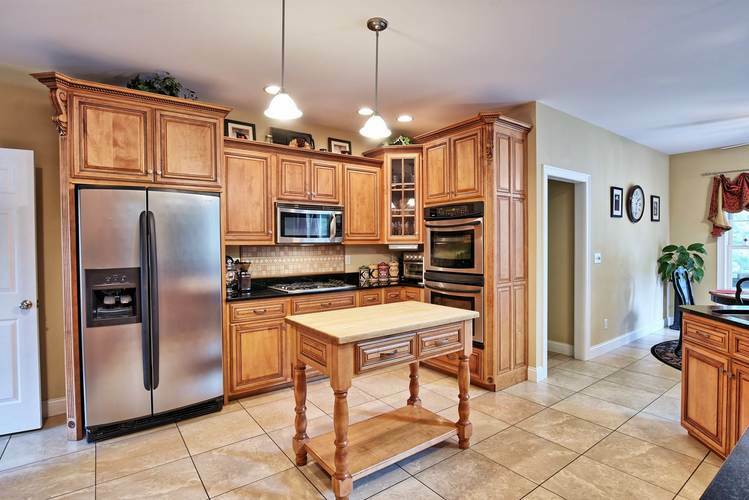 The kitchen with breakfast nook is well-appointed with custom Amish cabinets, granite countertops, gas stove and double-ovens. 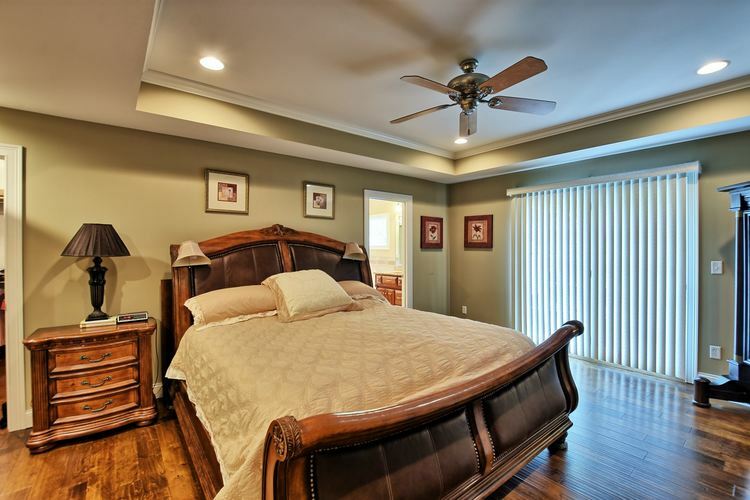 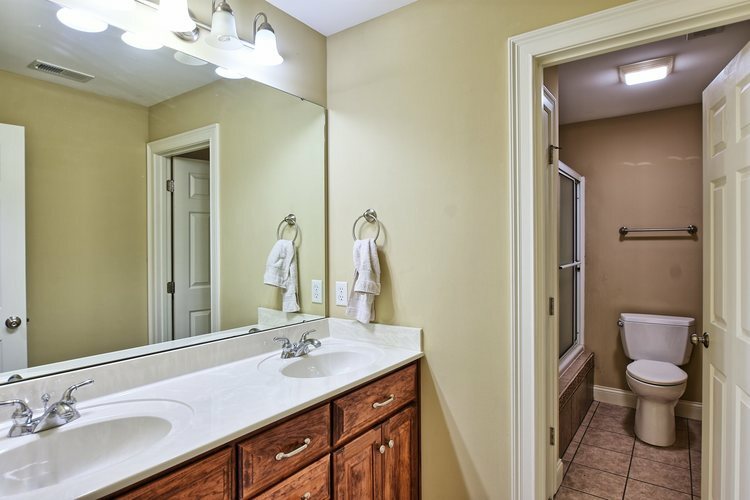 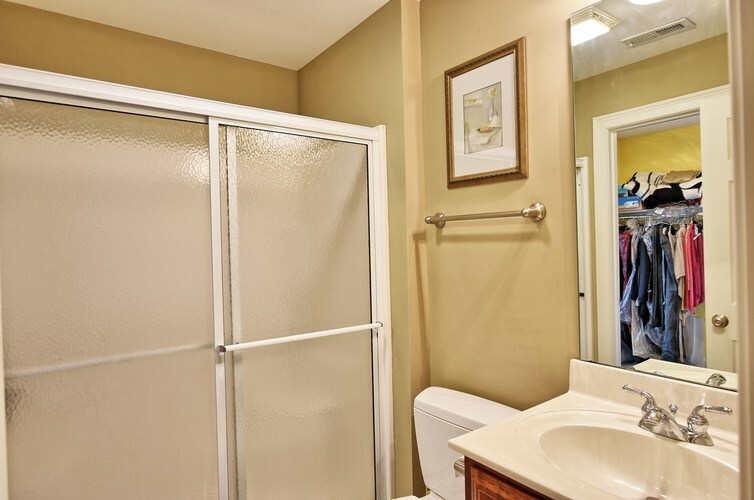 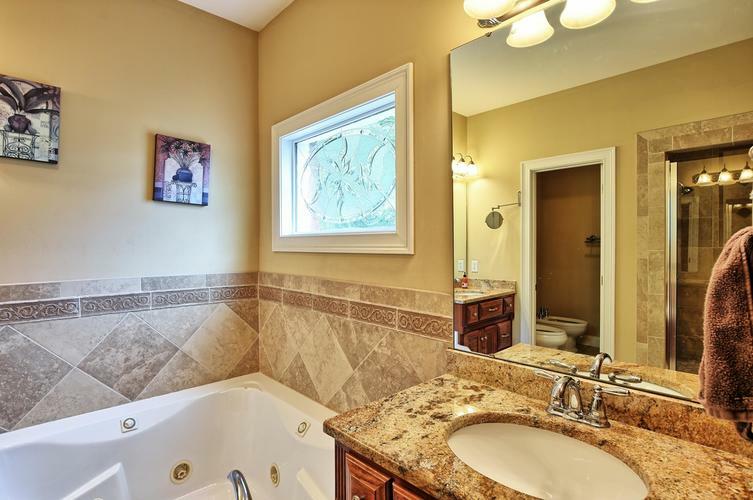 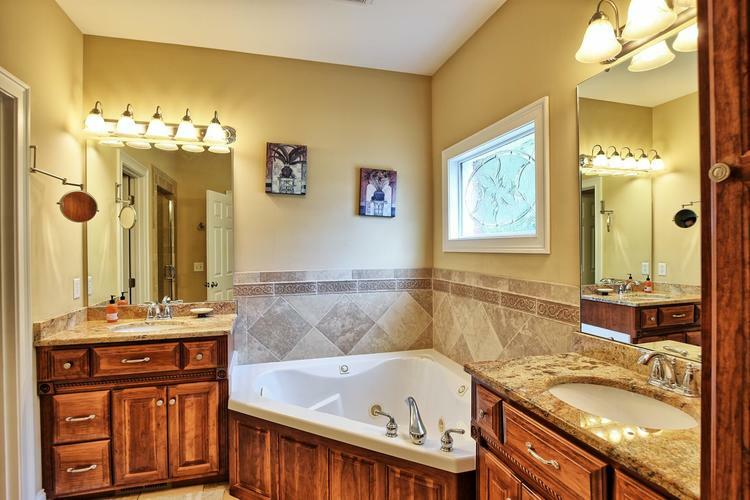 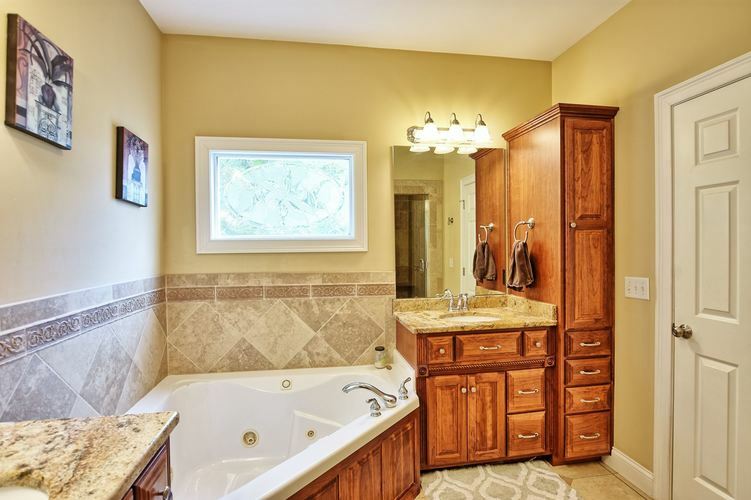 Rounding out the main level is the large master suite with hardwood floors, large-walk-in closet, and master bath with double vanities, large jetted tub, beautiful tiled shower and water closet. 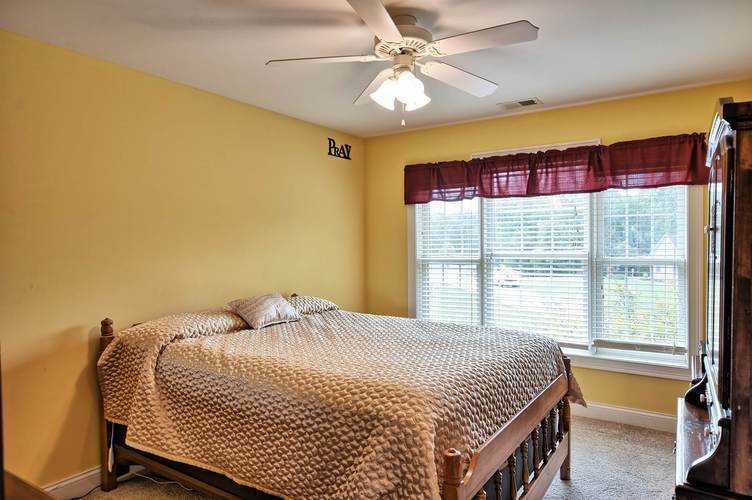 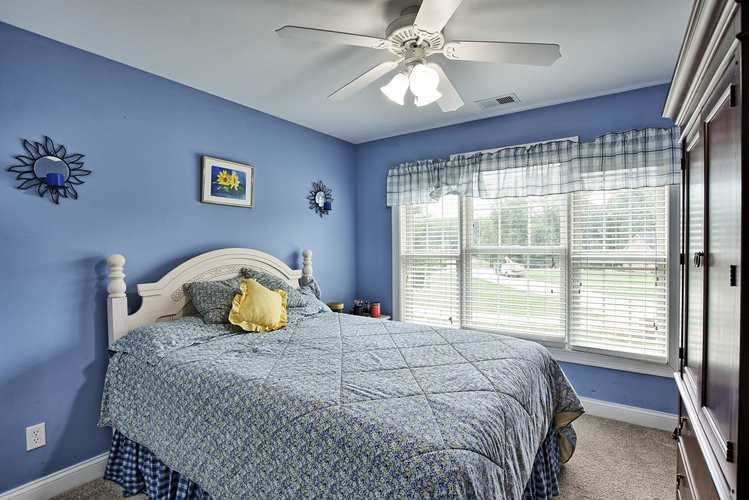 The second floor boasts three bedrooms, two full baths and a large bonus room all with new carpet. 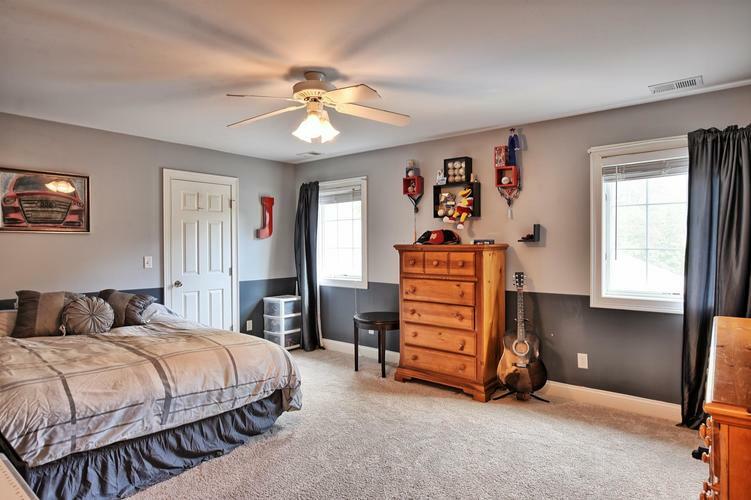 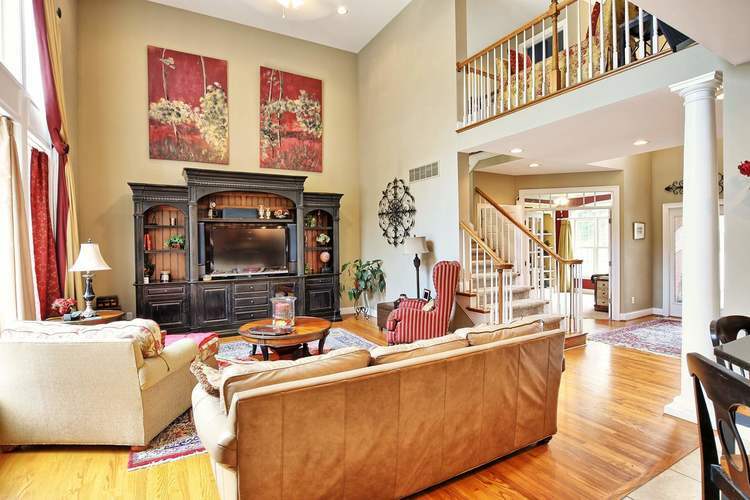 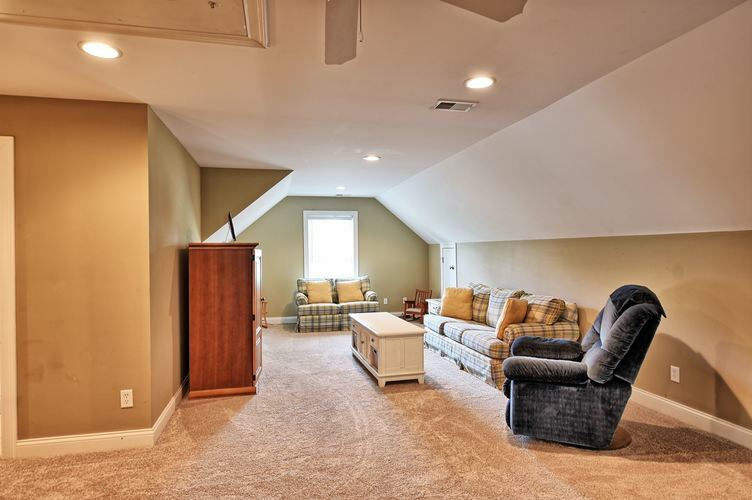 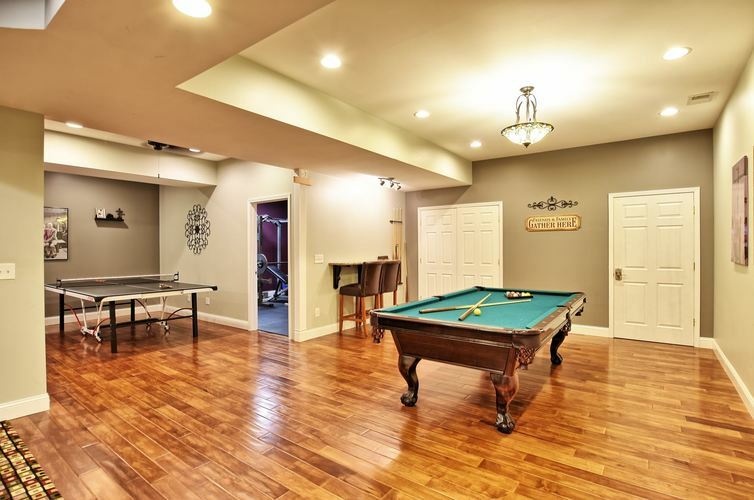 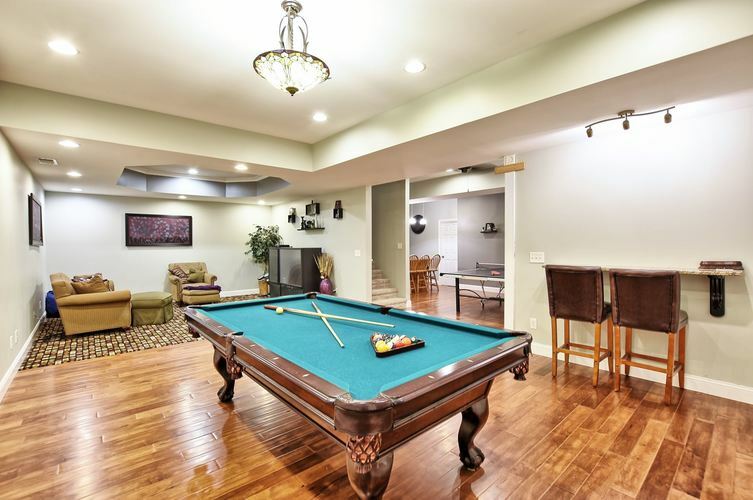 The basement is ideal for entertaining with a family room, game area, wet bar and full bath. 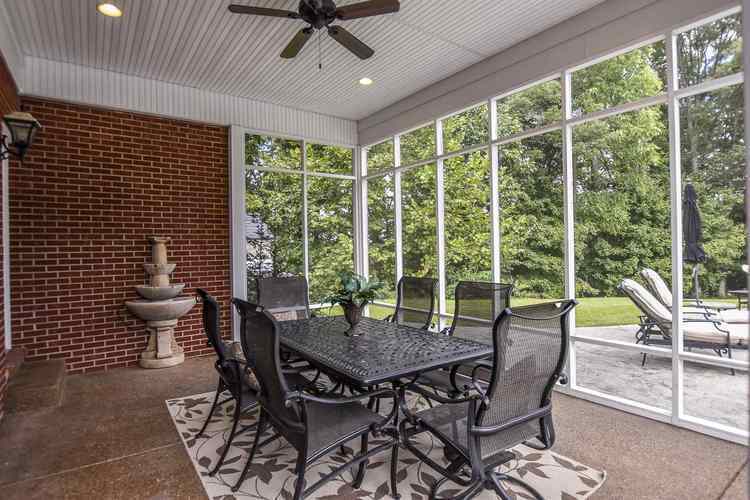 Outside you will find a screened in porch overlooking the pool as well as ample patio surrounding the saltwater pool. 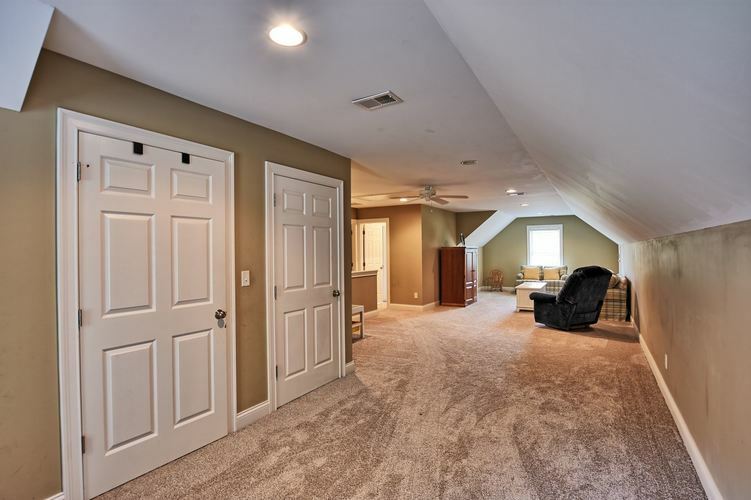 The three car side load garage offers plenty of room for vehicles and storage.